The appearance day of Srila Prabhupada, the founder-acharya of ISKCON is celebrated as Vyasa Puja. Srila Prabhupada was born in 1896 on the day of Nandotsava (the next day of Janmashtami). This year we are celebrating Vyasa Puja on August 25, 2019. The Vedas originate from the Supreme Lord Sri Krishna. Lord Sri Krishna imparted the Vedic knowledge to Lord Brahma, the creator of this universe. Brahma instructed his son Narada, who in turn gave this knowledge to Vyasadeva. Vyasadeva compiled the Vedic knowledge and also composed the eighteen puranas. Under the instructions of his spiritual master Narada, he also authored Srimad Bhagavatam, which is called the spotless Purana. He distributed this knowledge throughout this world through his disciples. A bona fide spiritual master coming in this line of succession descending from Vyasadeva is considered a representative of Vyasa deva. Srila Prabhupada is the 32nd acharya in this disciplic succession and his disciples observe his appearance day as Vyasa Puja. For the devotees of ISKCON this is the most important festival of the year. Devotees fast till noon. Various items are cooked for offering to the spiritual master, who in turn offers it to Krishna. 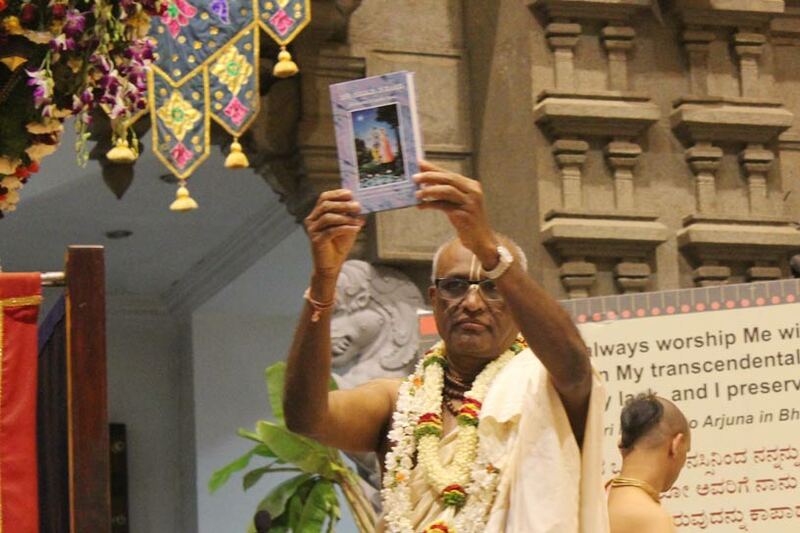 Devotees read homage offerings written by them to glorify Srila Prabhupada. 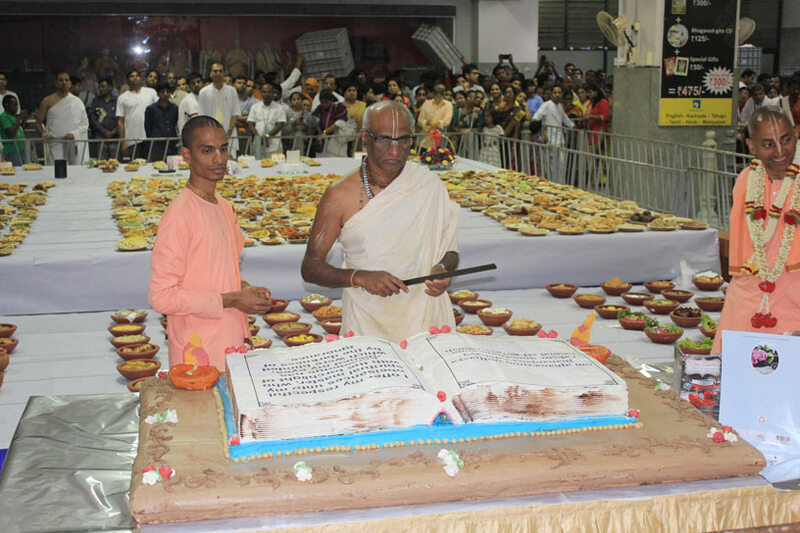 A grand abhisheka is performed and prasadam is distributed.